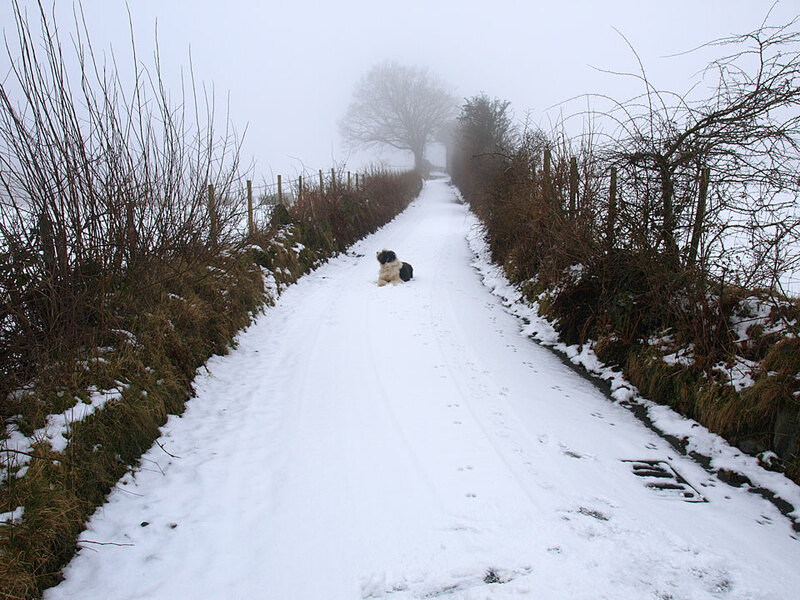 Weather: Cold and misty. 1°C. 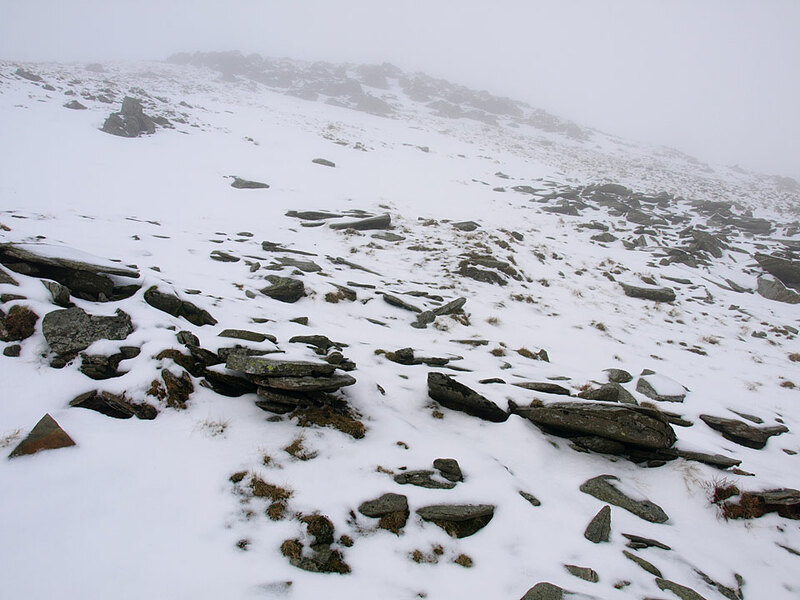 The freezing mist was all around at low level today for my first walk up to Coniston Old Man this year. 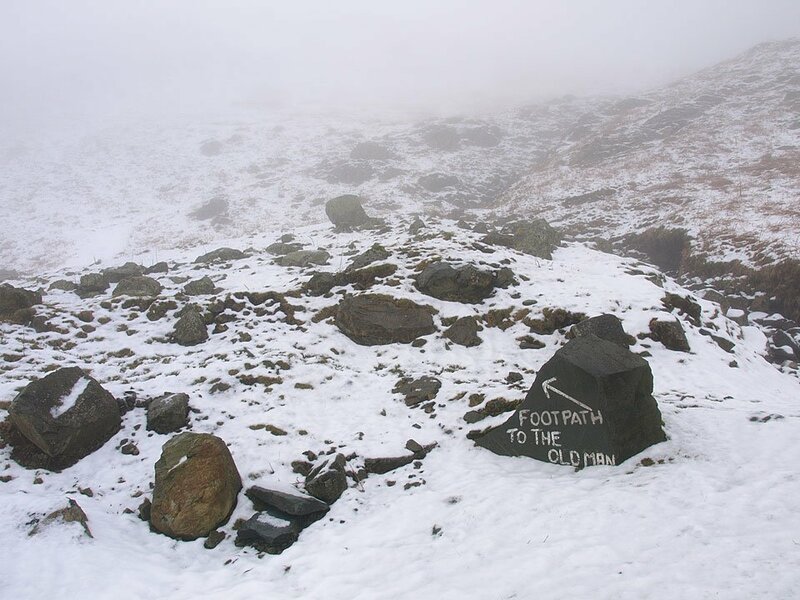 Yesterday and last night saw fresh snow falls in the area and everywhere around quiet Coniston was covered this morning. This was winter walking in different conditions to last week with no views and the eerie silence that walking in heavy mist brings and an overwhelming feeling of solitude. 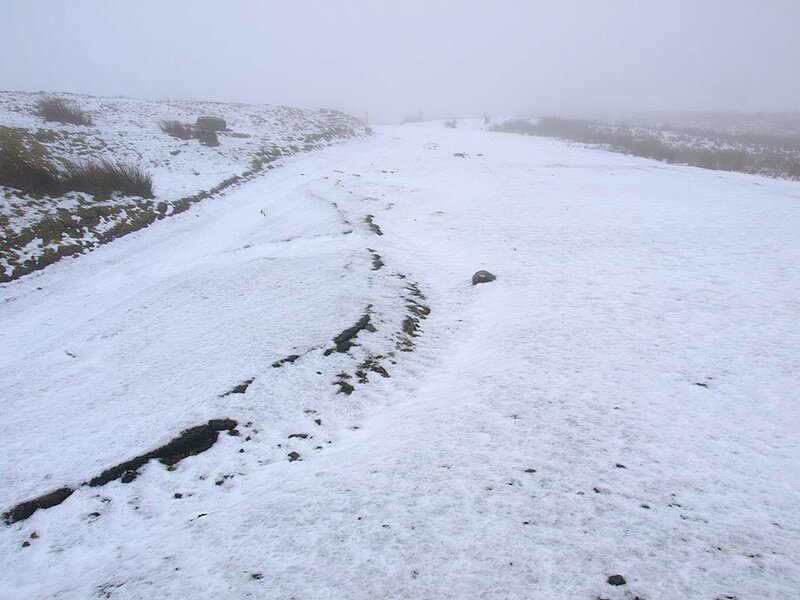 The snowy and icy roads meant a walk from the village today to reach the Walna Scar Road. Patient Casper waits in the middle of the road! The car park beyond the fell gate is empty today. 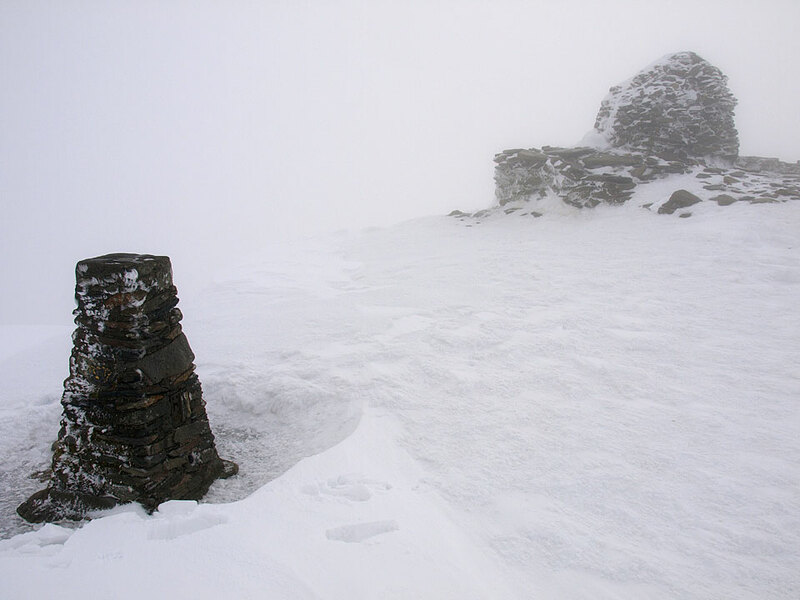 It's all a bit murky following the Diamond route from Boo Tarn. ...unfortunately not then! 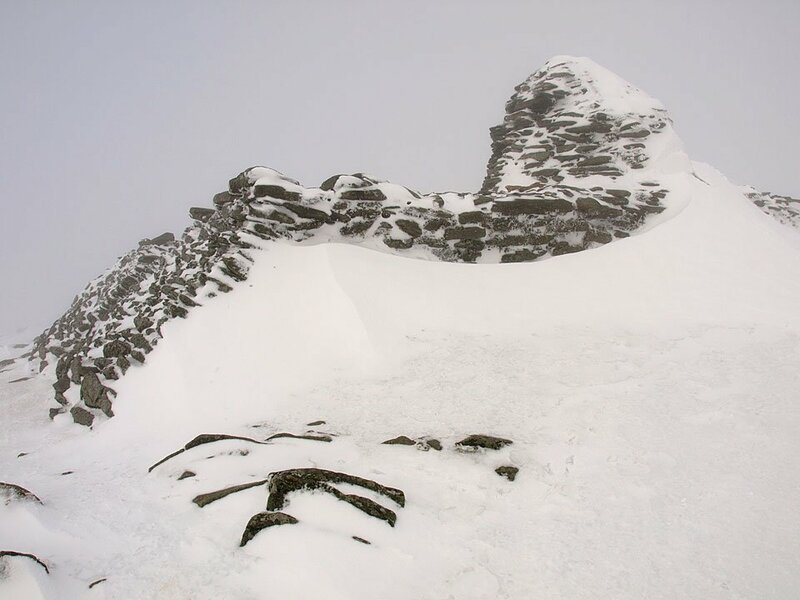 This is the summit cairn with snow drifted against the north-east face. 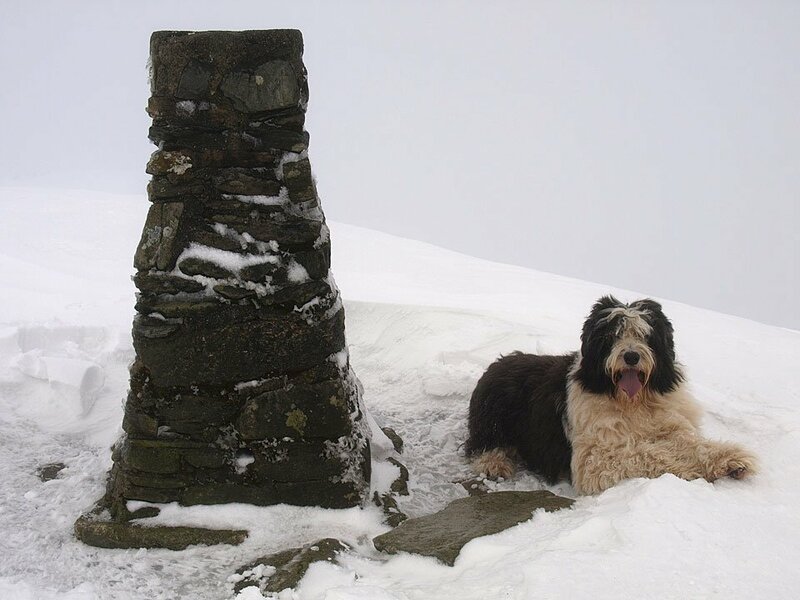 Cold Coniston summit. 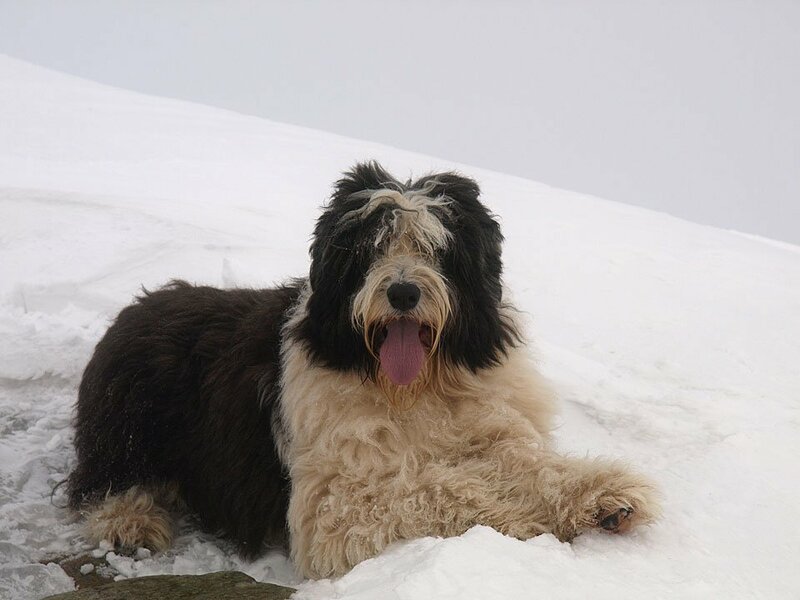 There was no-one here today nor another footprint in the fresh snow. The trig. 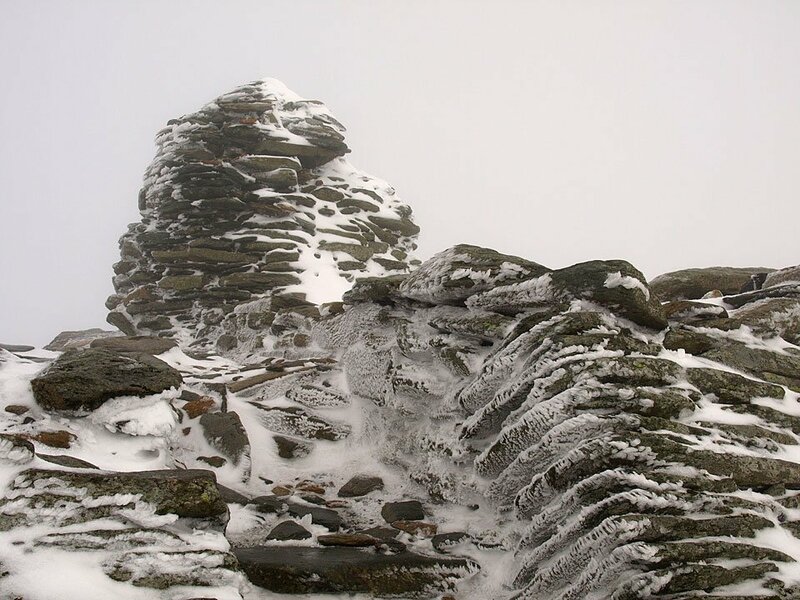 column and cairn. Casper takes it easy. On the way up I managed to lose my drinks bottle somewhere from the side pocket of my bag so I decided to follow my own footprints back down to see if I could find it. Unfortunately I didn't, so if anyone finds a battle scarred blue Sigg bottle up there - it's mine! 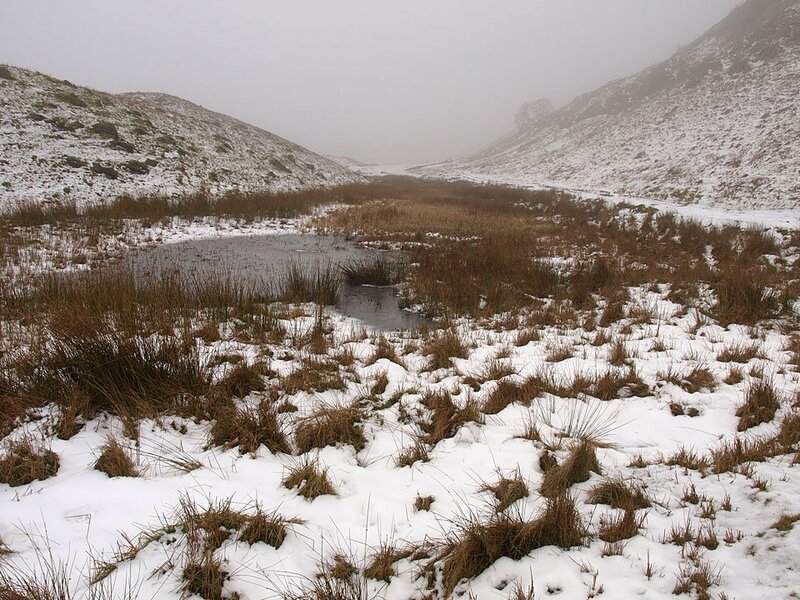 Boo Tarn sums up today's walk - frozen and viewless.